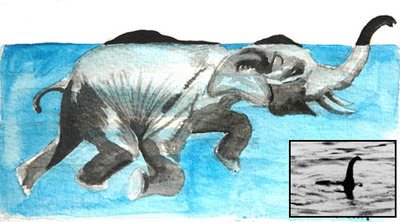 Loch Ness Monster an Elephant? Best explanation of the Loch Ness mystery yet. Astronomers report an unprecedented elongated double helix nebula near the center of our Milky Way galaxy. (see large image). Can’t quite recall Wittgenstein’s thoughts on the the totality of true propositions, but you only have five minutes to spare? Never fear, Squashed Philosophers is here. Hey! It has Leibniz, and Turing! Link: Sam Barros’ PowerLabs! : one guy’s experimental science site.